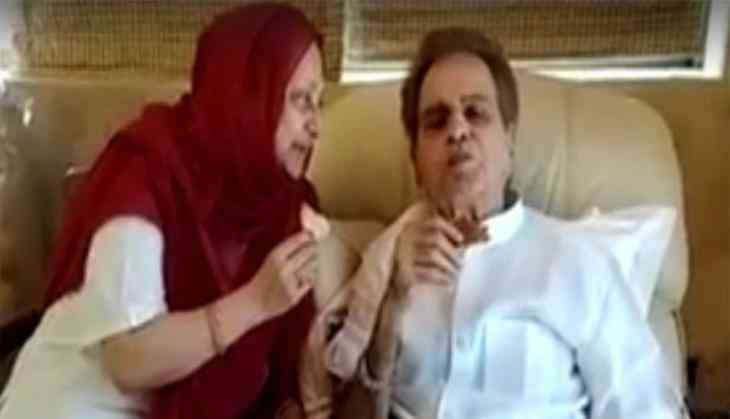 Legendary actor Dilip Kumar turn 95 today, and to celebrate this day, a restricted get together of family members and close friends will be organised, said wife and veteran actress Saira Banu. The ailing actor has just been treated for mild pneumonia. "On Dilip Saab's birthday, as we get together as a family with Saab's brothers, sisters, relatives and some close friends, my thoughts reach out to all the wonderful fans and well wishers for the duas and prayers for Dilip Saab. A million thanks," Banu tweeted from Dilip Kumar's official Twitter handle. She also shared how they celebrate the legendary actor's birthday every year. "What are we planning for the birthday, I am being asked repeatedly. Well, for those who don't know what we have been doing every year-it's a day when our residence turns into a gorgeous fairyland with flowers and floral arrangements from loving visitors which means a lot," the tweet read. She further wrote, "Every year on Saab's birthday our house is open all day for friends and family to come and spend quality time with Dilip Saab. But tomm. will be bit restricted as doctors have advised Saab to be protected from any infection". Last month, he was diagnosed with mild pneumonia, which he has been treated. Earlier on August 2, Kumar was admitted to Mumbai's Lilavati hospital due to kidney issues, which was the third time he had been admitted to the hospital. Known as the 'Tragedy King', Kumar has acted in over 65 films in his career and is known for his iconic roles in movies like 'Devdas '(1955), 'Naya Daur' (1957), 'Mughal-e-Azam' (1960), 'Ganga Jamuna' (1961), 'Kranti' (1981), and 'Karma' (1986).